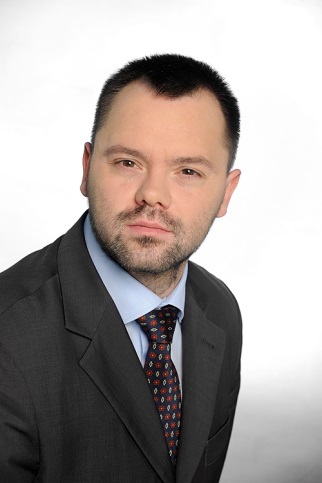 Wojciech Kozłowski ist Rechtsanwalt bei der Kanzlei Dentons in Warschau und Initiator und Mitautor der Dentons-Studie “Defective memory codes, February 2017”. A recent joint symposium of the T.M.C. Asser Institute (The Hague) and Verfassungsblog on memory laws and the role of law in how we remember the past turned out to be prophetic: the scholarly discussion was shortly followed by an international crisis caused by the new memory law passed in Poland. On the eve of the international commemoration of the Holocaust Remembrance Day (27th of January), the lower chamber of the Polish Parliament approved a law on the defamation of the Polish State and Nation, causing extremely harsh reactions from the Israeli side, joined within days by tens of international organisations, the US Administration, and, most importantly, Holocaust survivors themselves. None of the arguments against the law convinced the Polish legislator to reconsider the legislation and just five days later, during a nightly sitting, the Senat, the upper chamber of the Polish Parliament, approved the memory law. It now awaits the signature of the Polish President to become a binding law. Poland has a long history of tragic events. There is no question that the Polish nation has suffered tremendous injustice at the hands of foreign regimes. Built meticulously over decades, the memory of Polish heroism, independence and liberation, combined with the bans on openly debating the historical truth that were in place during the Stalinist and communist regimes, merged with a natural social unwillingness to discuss the difficult past, have left the majority of the Polish nation falsely convinced it has always been a victim and never the perpetrator of crimes or vile acts. Once communism collapsed and Poland regained its sovereignty and its capacity to settle with the past, complexities about the Polish-Jewish history and relations increasingly came to light. And yet, hardly anyone was (and is) prepared or able to accept both the painful truths, such as that of the Jedwabne Pogrom, where in July 1941 Poles burned their Jewish neighbours alive in a barn, and the scale of the responsibility for crimes committed against the Jewish neighbours. Nevertheless, an effort to overcome the demons of the past that was made during over the years that produced some noticeable results and started a public discussion. Then, however, in the years 2015 -2017 the historic narrative which made Poles a nation of victims and hardly ever perpetrators again became the official public line forced upon the nation, in part by means of legal instruments. As a matter of fact, the official reason for submitting the new law to the Polish Parliament, or rather an amendment to existing legislation, has been fully justified – to stop the use of the term “Polish concentration camps” and “Polish death camps” anywhere in the world, a reason with which we have no argument whatsoever. Clearly, no such camps have ever existed. There have been, however, a number of German Nazi concentration camps designed and operated fully by the German occupiers of Poland. And yet, the idea has been abused, and instead of introducing civil remedies supporting requests of withdrawal of the term “Polish camps” from the media, the Polish Parliament decided mistakenly to use criminal sanctions and extending the sanction to any case of “attributing responsibility to the Polish State or Polish Nation”. This approach appears not only to be ineffective but also to suppress the freedom of historical debate and generally the freedom of speech by restricting the range of acceptable interpretations of historical events with a view, primarily, to eliminating those that present Poles as anything less than heroic, in particular as those who assisted Germans in committing Nazi crimes against Jewish people. Linking the direct responsibility of Poland or Poles to concentration camps created by the Nazi regime as places were millions have perished at the hand of the German Nazi occupiers of Poland is not merely false but also unacceptable in any respect and under any circumstances. To counteract the phenomenon of “Polish camps” should therefore be seen as a true attempt to address public expectations and restore a sense of historical justice. However, as rightfully noted by Tomasz T. Koncewicz in his chapter recently published (ed. by Belavusau & Gliszczyńska-Grabias, Law and Memory. Towards Legal Governance of History, Cambridge University Press 2017) : “The expression ,Polish death camps' is (…) but one example of the types of cases that might fall within the provisions of the new law. Its scope is much more encompassing (…)”. It may, according to Koncewicz, “cover an infinite number of statements that the majority may disapprove of at any given time as not being ,sufficiently Polish’”. While the postulate deserves support given the need to stop the use of the term “Polish camps”, one should nevertheless examine the legal structure of the draft law more closely to ensure that the sections referring to “Polish camps” will stand a chance of becoming an effective instrument. The amended Act on the Institute of National Remembrance, with its new article 55a, refers very broadly to the attribution, to the Polish people or to the Polish state, of responsibility for Nazi crimes, crimes against peace, against humanity and other crimes, for which the perpetrator might be imprisoned for up to three years. Thus, it expands the scope of responsibility to include instances other than the abuse of the term “Polish concentration camps,” including those where Poles are responsible or jointly responsible for e.g. the massacre in Jedwabne or for the complicity of shmaltsovniks (Poles who blackmailed hiding Jews, and the Poles sheltering them, during the Nazi occupation of Poland) in Nazi crimes. Besides, unlike the defective memory code “Polish camps”, the provision so formulated applies to attributing responsibility to the Polish people or to the Polish state for crimes that were committed not by the state, but by individual people. Attributing responsibility for very broadly defined crimes amounts not to historical facts, but to opinions. It must not be denied that Poles, such as shmaltsovniks, were complicit in Nazi crimes. On the other hand, attributing the role of individual people in such crimes to the Polish people (not even all Polish people, but only a portion of them), does not amount to historical facts, but to opinions about facts. If the legislative changes become effective as enacted by the Polish Parliament, such opinions could provide too broad a basis for prison sentences for e.g. Holocaust survivors accusing Polish shmaltsovniks. The rules of freedom of expression clearly established by the jurisprudence of the European Court of Human Rights (also in the area of memory laws) that individuals can be punished for false statements, lies or slander. Not for expressing different opinions, though. Now, the new legislation provides for very broadly conceived liability for any acts attributing responsibility to the Polish people. Let’s take, for example, officially published findings of historians which show that of three Jews escaping from one of the ghettos, two were murdered with the involvement of Polish shmaltsovniks – that is, two-thirds of them. Does that mean that the responsibility for these crimes could extend to the Polish people? Some will say that it could, others that it could be attributed only to the individuals involved, not to the whole nation. That’s why the provision on criminal liability should be removed from the legislation. It is not the task of courts to pass judgment on views which should be dealt with by historians. Is there a way out of this current mace of conflicting memories and historical interpretation, caused by the Polish government, that can now turn into a legal battle between the states and nations? The Israeli Parliament, the Knesset, has just announced a draft law proposal to penalize any trivialization of the role of Nazi collaborators, adding yet another memory law to the already existing in order to regulate the memory of a past. We believe there is. Polish law makers should concentrate on civil liability or, more specifically, on narrowly worded provisions applying exclusively to the use of the term “Polish concentration camps,” not on attributing responsibility in any other manner. If the provision of the Act on the Institute of National Remembrance were narrowed down to combating the use of “Polish concentration camps,” it would also stand a much better chance of enforcement outside Poland, with the possible exception of the common law countries, such as the U.S. In its current wording, the new legislation stands no chance of enforcement outside Poland. It contains none of the irremediable flaws marring the new Article 55a, also in the sense of international human rights law standards on freedom of speech and academic research which the amended law clearly violates. Memory laws are an extremely fragile legal phenomenon. Their existence, as proved also by scholars participating in the recent Verfassungsblog debate, is marked out by legislators’ attempts to regulate, or even to enforce a certain vision of the memory of the past. Thus, the task of legal scholars and lawyers should include rising their critical voices over such an intervention into the area of the past. Regardless of the legal misgivings concerning the Polish amended law, it is also worthwhile noting certain critical moral implications that are at issue: is it possible to concurrently believe that the term “Polish death camps” constitutes an unacceptable misrepresentation of history while opposing the new law? We see no contradiction between the two. 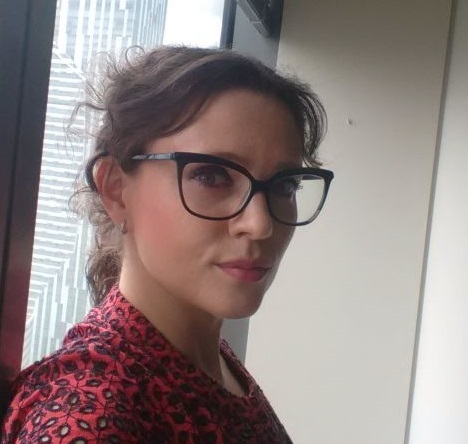 SUGGESTED CITATION Gliszczyńska–Grabias, Aleksandra; Kozłowski, Wojciech: Calling Murders by Their Names as Criminal Offence – a Risk of Statutory Negationism in Poland, VerfBlog, 2018/2/01, https://verfassungsblog.de/calling-murders-by-their-names-as-criminal-offence-a-risk-of-statutory-negationism-in-poland/, DOI: https://dx.doi.org/10.17176/20180201-165352.